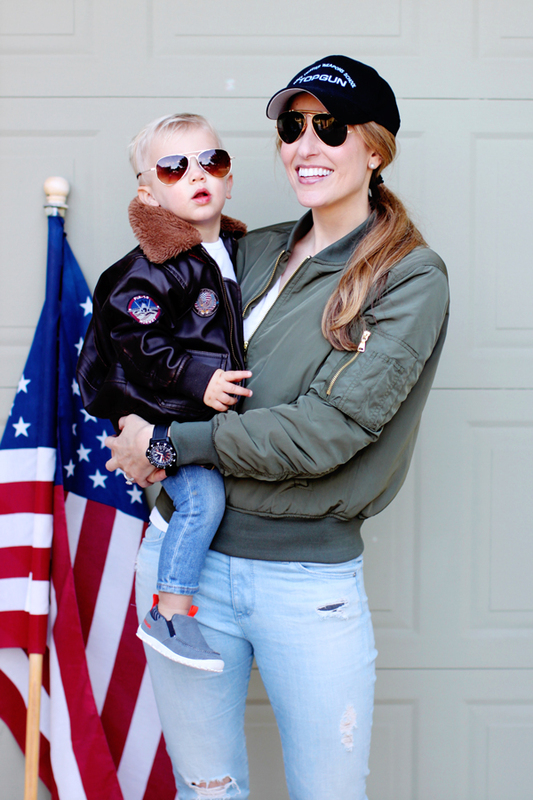 Will is one-and-a-half years old and obsessed with airplanes, so it seemed appropriate to dress him up as a pilot for Halloween. But we couldn't let him be just any pilot. 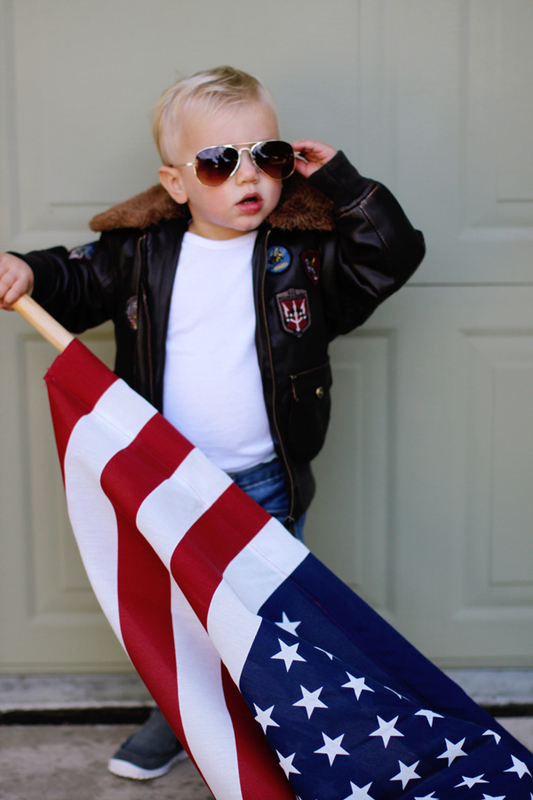 This kid has a need for speed, just like Top Gun's Maverick. 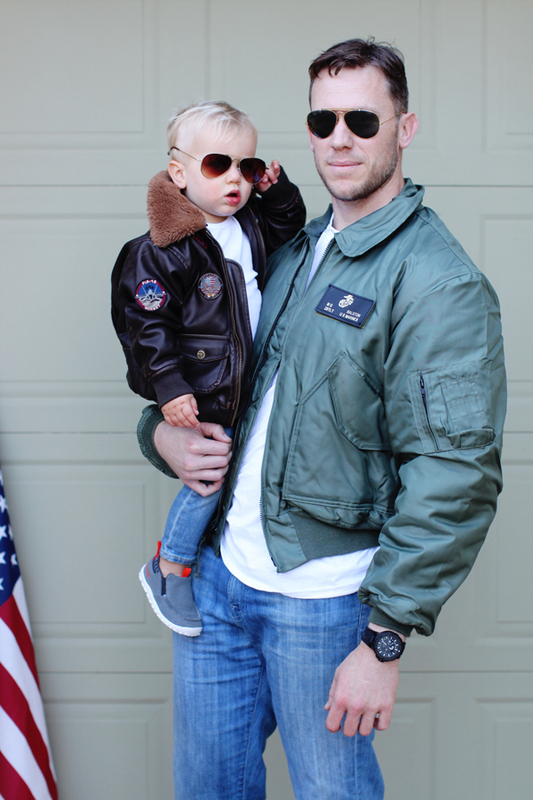 For Will's costume, we copied Maverick's grounded look: jeans, a white t-shirt, a Top Gun bomber jacket, and of course, aviators. 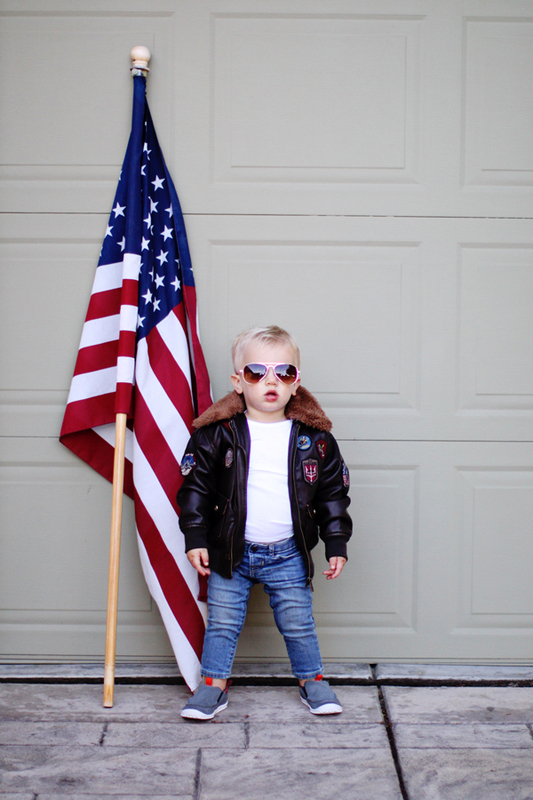 Oh, and a whole lot of swagger. 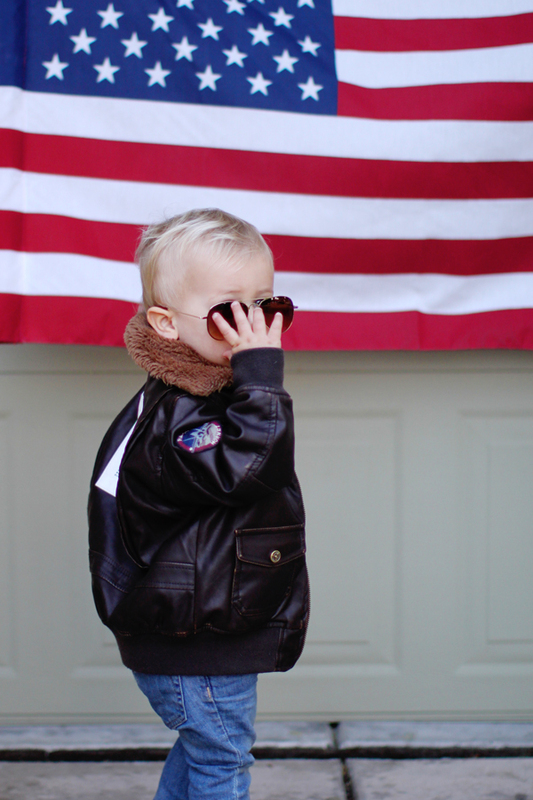 Welcome to the danger zone. 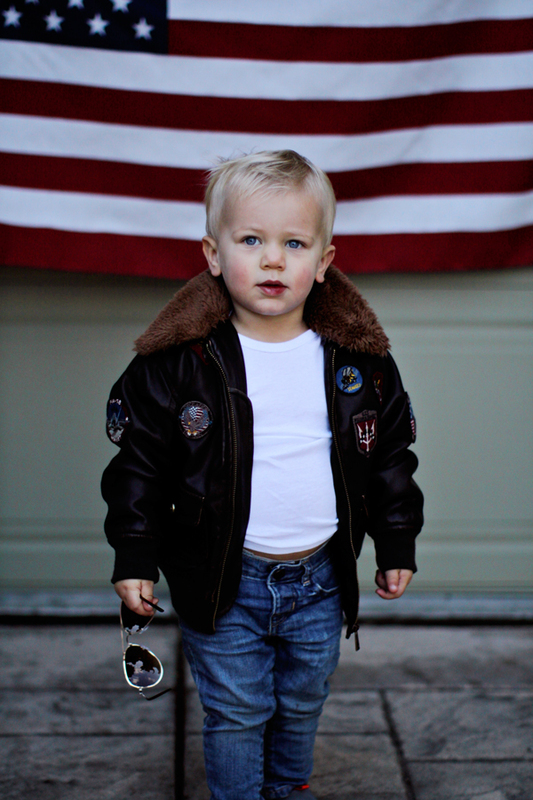 Can this baby pull off a bomber jacket or what? 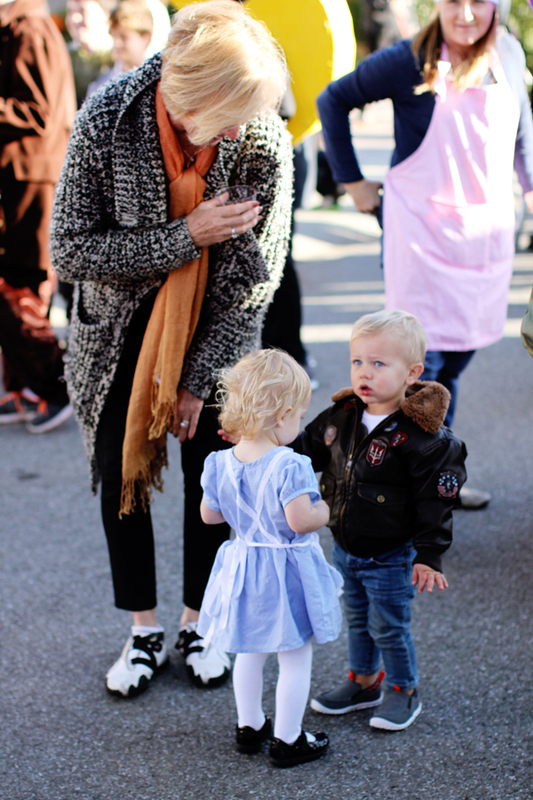 The little girl dressed as Alice who kept running up to Will at the neighborhood Halloween parade seemed to agree. 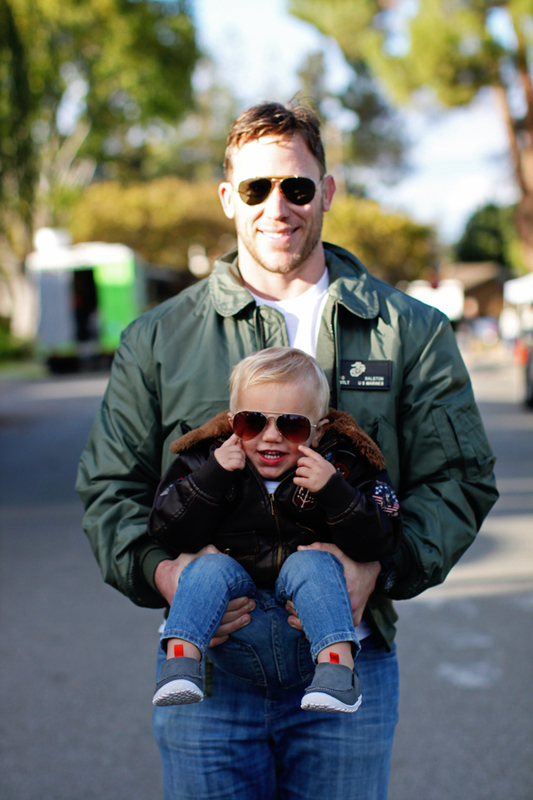 Nick and I got in on the Top Gun theme and wore bomber jackets and aviators, too. One more of these two (cue the music from the volleyball scene): Playing, playing with the boys! 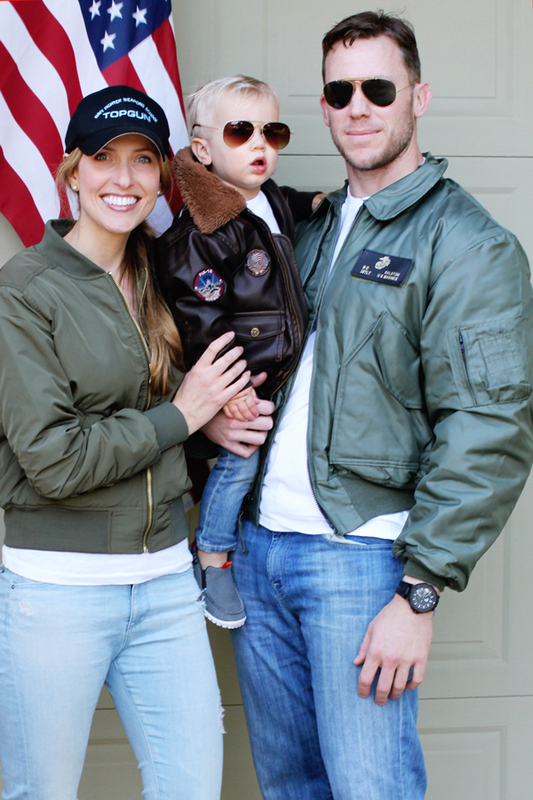 What a difference a year makes—scroll down a bit in this post to see last Halloween's little minion! P.S. 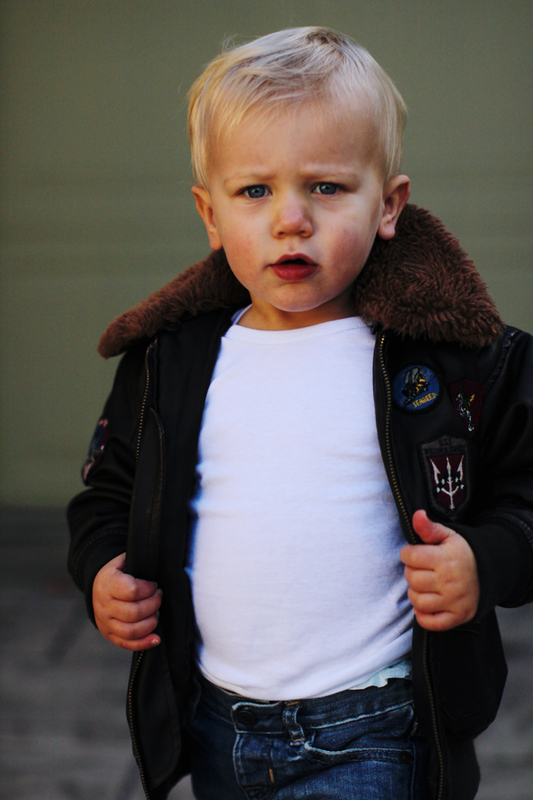 Here's another great flight jacket option for mini Mavericks!